HM Treasury and HMRC have not established a framework or principles to guide the administration of tax reliefs, according to today’s report from the National Audit Office. This reflects the Exchequer Departments’ view that tax reliefs do not have administrative implications that differentiate them from other parts of the tax system. The NAO concludes that the Departments’ defence of this principle, coupled with the desire not to be more accountable for reliefs, is costing the exchequer money. Tax reliefs are diverse in nature, serving a variety of needs. Some are structural parts of the tax system, to improve ‘progressivity’ or to ensure the correct calculation of profits. Other reliefs, sometimes described as ‘tax expenditures’, are designed to encourage a particular behaviour towards a social or economic policy objective. The NAO today reveals that HM Treasury and HMRC have not identified which tax reliefs are intended to change behaviour in order to deliver targeted policy objectives. They also do not monitor or report their costs and benefits in a way that would allow wider government, Parliament or the public to know if such reliefs are working as intended. Not all reliefs lend themselves to such analysis, but some do. The NAO believes this creates a significant gap in accountability to Parliament for administrating public finances effectively. This also means that significant risks can go undetected: that tax reliefs cost more than expected; that they are used in ways not intended by Parliament; or that they do not bring about intended behaviour change. The spending watchdog looked specifically at how HMRC administers 10 tax reliefs, and found that in three of those cases the Department responded with varying degrees of urgency to the evidence of abuse. HMRC detected large-scale abuse of share loss relief in 2006-07 but did not check the total amount of claims in 2006-07 or subsequent years to check whether there were other unexplained surges. In 2006-07, the cost of claims against income tax for share loss relief rose from £385 million to £1,206 million in real terms. HMRC is investigating 80% of the 2006-07 claims by value (£964 million). Avoidance activity has continued and HMRC has detected 20 undisclosed schemes between 2005-06 and 2011-12. It has opened investigations into 60% of all claims. 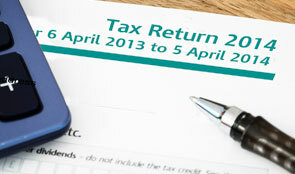 The amount of relief that HMRC is considering in tax terms over that period is £780 million. HMRC has carried out only limited analysis to investigate why the cost of entrepreneurs’ relief has significantly outstripped its forecast, increasing over 500% from £500 million in 2008–09, to an estimated £2.9 billion in 2013-14 and whether the cost increase might be influenced by misuse of the relief.